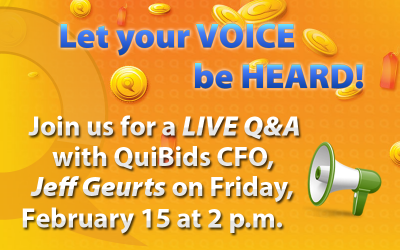 Home / Tune in for a live Q&A with QuiBids CFO Jeff Geurts! Hey guys! Raise your hand if you want QuiBids to be better. Cool, we do too! (You can lower those hands now.) So, because we receive so much excellent customer feedback at the QuiBids Facebook page and the QuiBids Twitter account, we’re setting up a chance for you guys to help us improve QuiBids directly, by sharing your suggestions, concerns, criticisms, and ideas directly with one of the guys who was there at QuiBids’ humble beginnings! Jeff oversees the handling of our company’s finances and a few other departments at QuiBids, but most importantly, he was one of our first employees, and helped a little tadpole company grow into the great, big, beautiful frog it is now. 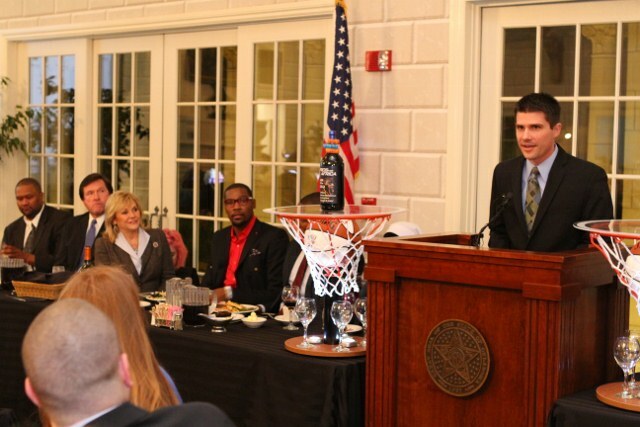 As a member of our executive team, Jeff’s had as much to do with shaping QuiBids’ vision for the future as anybody around here, and we want for that vision to include your consideration. So here’s your chance to talk to him! Post your questions, comments, suggestions, or anything else you want Jeff to see in the comment section below, and he’ll be here at this blog post, answering them in real time a week from today. That’s Friday, February 15, from 2:00 p.m. to 2:45 p.m., so mark your calendars and tune in at that time to chat! Keep in mind that liking questions will push them up in the order, which makes them more public. So if you see a question you want answered, give it a like and watch it rocket to the top! This is intended to be an open, courteous dialogue with the goal of ultimately building a better online service — not a chance for you to fix some issue you’re having with our site. If you’re experiencing problems on QuiBids, then please contact Customer Support at your convenience. Bear in mind our Ten Commandments of Social Media! Alrighty then! We’re looking forward to seeing you guys back here next Friday! Until then, start posting your questions, suggestions, recommendations, criticisms, and observations below! UPDATE: Hey guys! 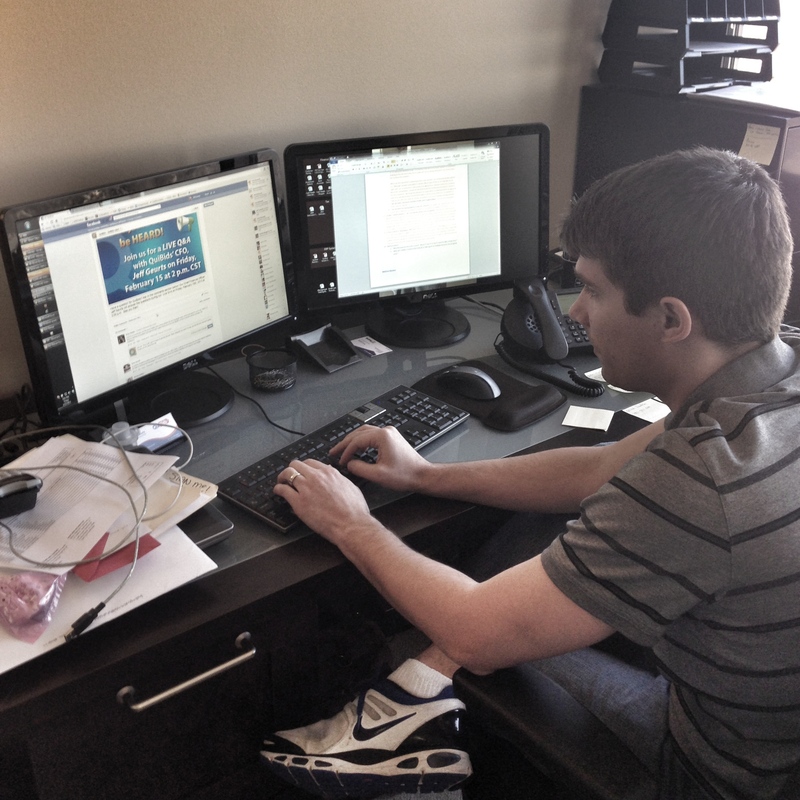 Jeff’s down there in the comments right now, answering your questions! Drop on in and say hello. Thanks to everybody who participated in the chat! We’ll organize this all into an easier-to-read Q&A and share it on the blog when we get back to the office on Monday. Enjoy your weekend and happy bidding!